Inexpensive res orts are located along the shores of Pagudpud. They normally charge a fixed fee about US$5.00 for a nipa hut where you can hide under the hot sun. But for those who want to relax in more luxurious surroundings, the spacious Saud Resort beckons. Even then, rooms go for about US$35-40 a night. Saud Resort is the most secure of the resorts, with 24-hour security manning the entrance. But it doesn’t mean that the place is dangerous. On the contrary, Pagudpud, as elsewhere in Ilocos, is very safe, and the people are friendly and hospitable. It's always wise to check ahead to make sure there's room for you at one of the resorts. While increasingly popular, you shouldn't have a problem finding accommodations in Saud -- unless you plan on visiting during Holy Week in April, when the entire country seems to take a holiday. Rates vary widely. Some resorts are plusher than others, but all are excellent. Check with resort proprietors for room availability and prices. 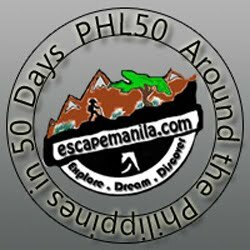 To get to Pagudpud, first get yourself to the Philippines. You'll arrive in Manila, one of the world's biggest cities. It's an awesome place that is choked with traffic, people and life. There are skyscrapers, malls, parks and attractions in large numbers. Accommodations in Manila run the range, from the deluxe to the seedy. The Makati district has some of the city's finest hotels. Many, including the most high-class, offer excessive discounts to balikbayans and the cheapest rates to local residents.